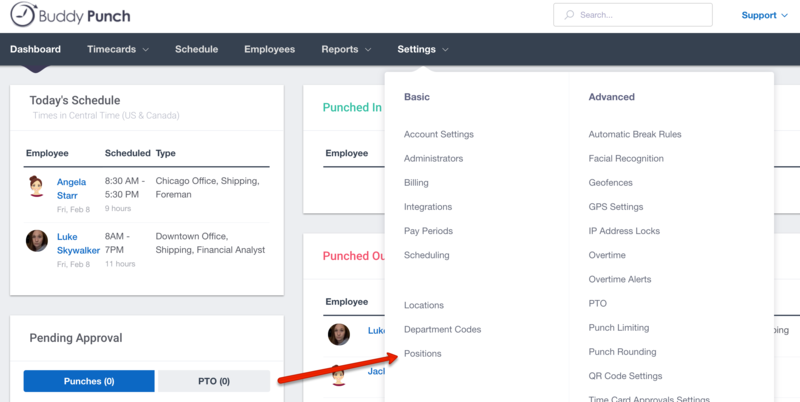 Positions allow you to assign a specific position to employees that they can select when punching in. You can also assign them to a shift. Positions are only available with scheduling and allow you to assign as many positions to an employee as needed. There is no connection between Locations, Departments, and Positions. This means that positions do not nest under either one. They are completely separate and can be used without Departments or Locations. When only one Positions it assigned to an employee it will automatically be selected when an Employee punches in. 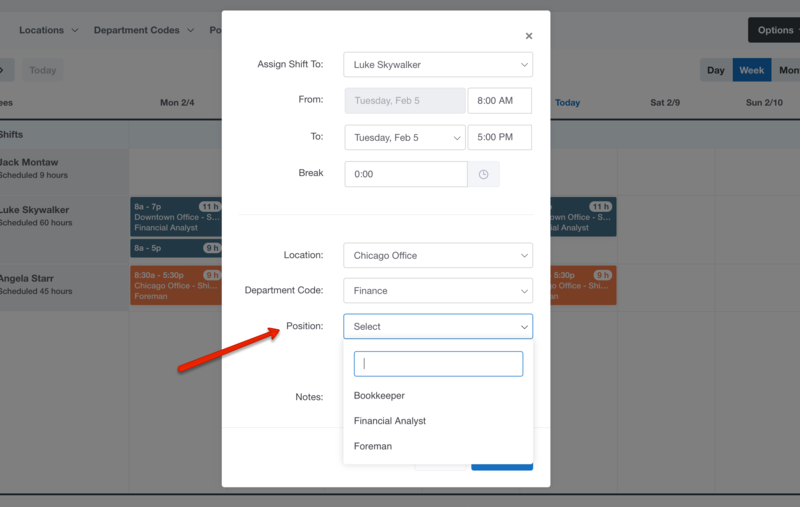 If more than one Position is assigned, an employee will be able to select their Position from a dropdown list. Positions can be created by selecting Settings --> Positions. Once Positions are created, they can be assigned to a shift. When an employee goes to punch into a shift, the Position will automatically be assigned. The Position will show up on the employees time card as well as on your reports.